Pat chicken wings dry with a paper towel. 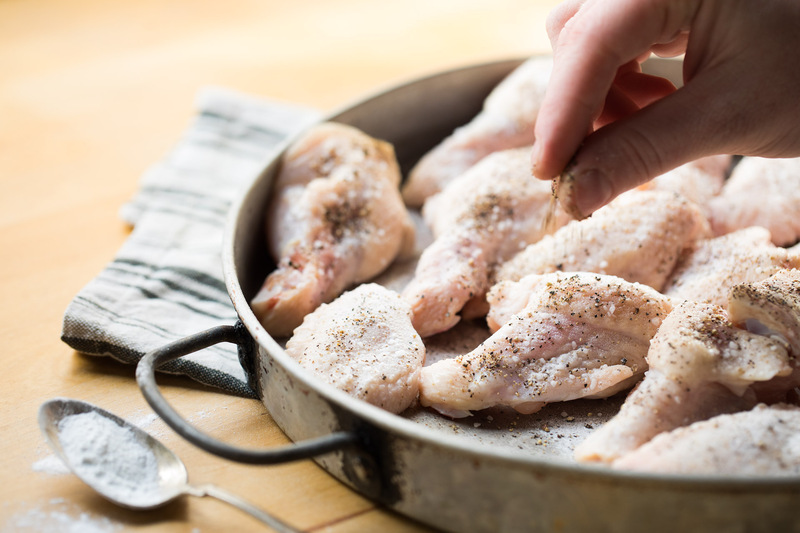 Toss wings with salt, pepper and baking powder. 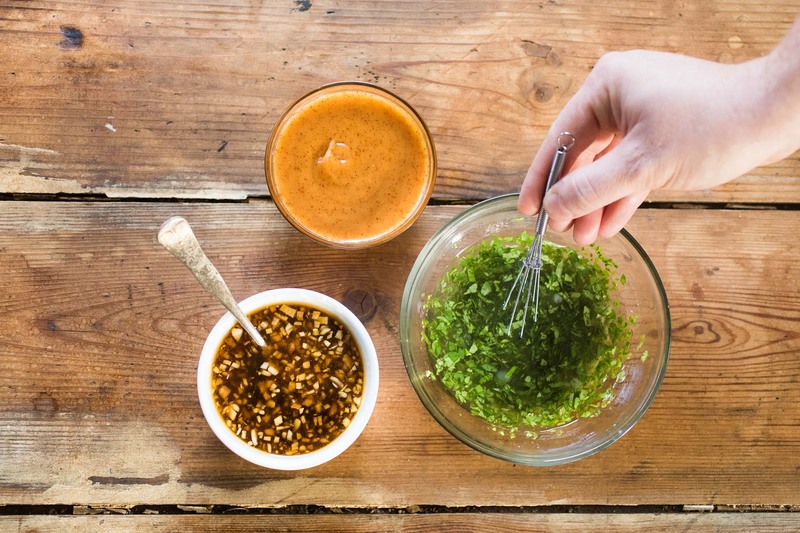 Place onto a baking rack nestled onto a baking sheet with sides (to prevent juices dripping out). 5 pounds of wings will fill two baking sheets. Bake at 275 degrees for 25 minutes on a low oven rack. Crank up the heat to 425 degrees and move wings to center of oven. 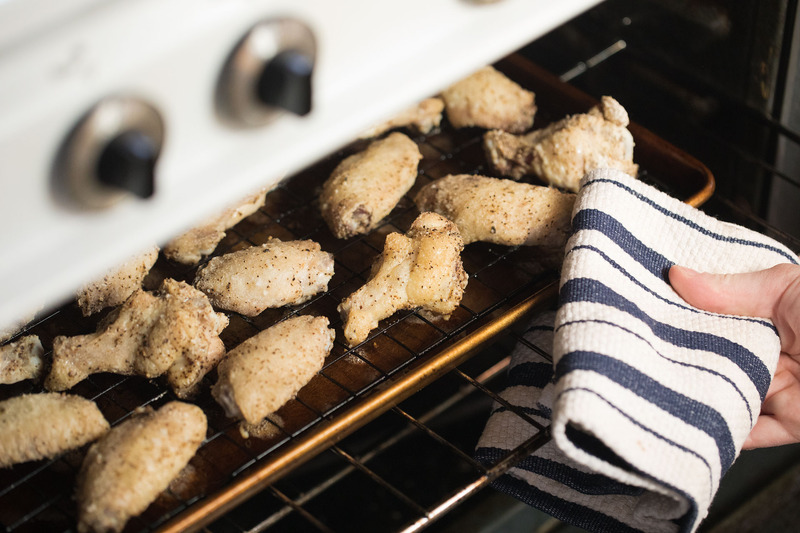 Bake for 45 minutes or until wings are crispy and golden. 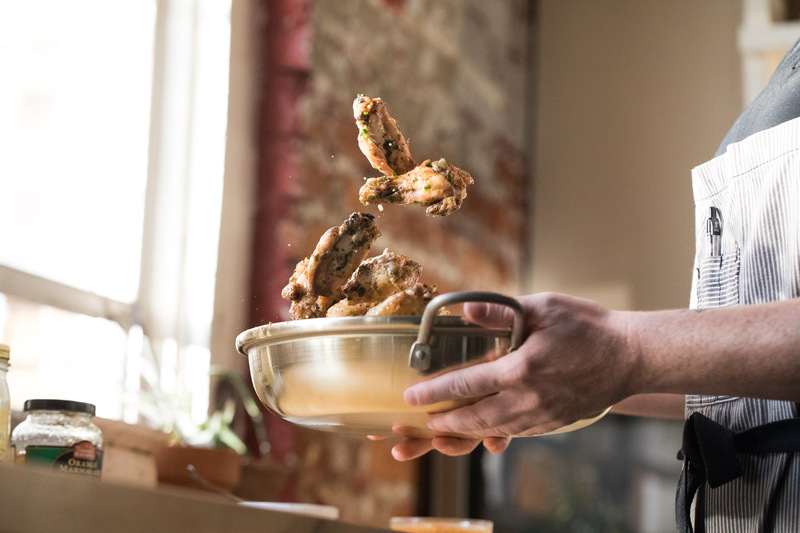 Whisk all ingredients together and leave in a large bowl, divide wings and toss separately.